Before American designer and film director, Tom Ford directed the Oscar-nominated film “A Single Man” starring Colin Firth he created his own fashion label and produced a private collection of exclusive perfumes and colognes. Tom Ford Tobacco Vanille is part of this private collection and was initially introduced in 2007. It’s a much sought after scent that is adored by both men and women. Women love its warm, spicy fragrance and the men like the masculine smell of tobacco which is noticeable but not too strong. This Tom Ford Private Blend Fragrance is created from a base of sweet dried fruit and sweet wood sap mixed with tobacco blossom, vanilla, and cocoa. The final ingredients are tobacco leaf and aromatic spices plus the heart of the tonka bean. This is all carefully blended to produce an Asian fragrance that is spicy and is sold in a distinctive brown bottle. Exclusive to Tom Ford, it appeals to young men and women who like the idea of wearing a Tom Ford cologne—the added attraction of him being a famous American film director also draws them to his private collection of cologne. What makes this cologne so special that it just about literally flies off the store shelves? Well, first of all, it’s completely different from any other cologne on the market today. Second, it can be shared by both men and women alike since cologne tends to smell differently depending on who is wearing it. 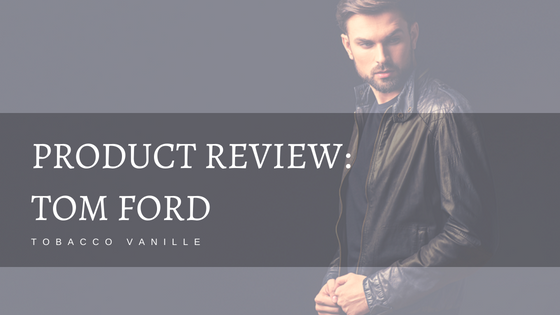 Tom Ford Tobacco Vanille has a sweet, vanilla, warm and spicy aroma that is kissed with just a hint of tobacco. It’s aromatic and has an exotic scent that is reminiscent of the Old Orient. While some people find that it’s a fairly strong scent, many people acquire the love of its smell over time and refuse to use anything else. Another thing that can be said about this fragrance is that it is considered to be more of a winter scent than a summer one thanks to its smoky aroma which is reminiscent of yule logs and cozy winter nights. Just be sure to use it in moderation—two sprays will last all day. Non-smokers may not like the smell of tobacco. Not for those trying to give up smoking. The tobacco fragrance is not overpowering but is definitely there which is why it may be hard for non-smokers or those who have given up smoking.